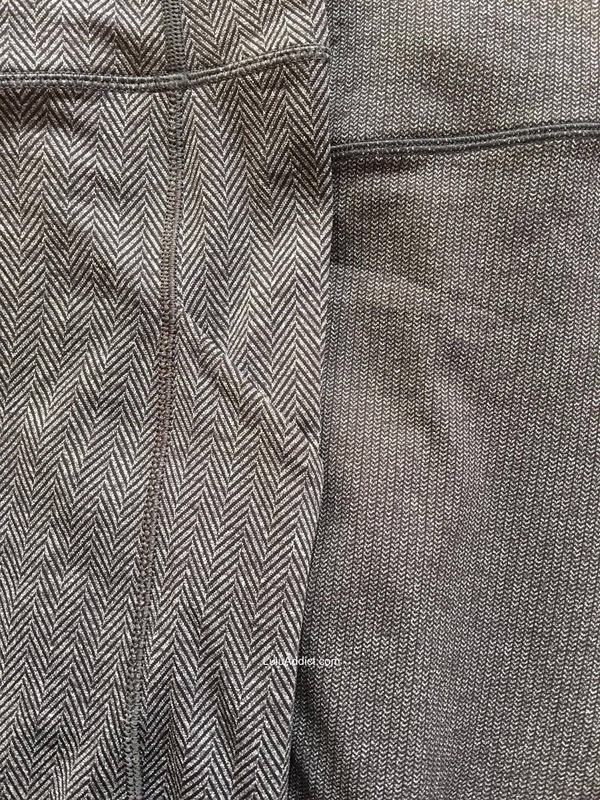 Giant Herringbone Speed Tight IIs on the left vs the new Power Luxtreme Variegated Knit Speed Tight Vs on the right. 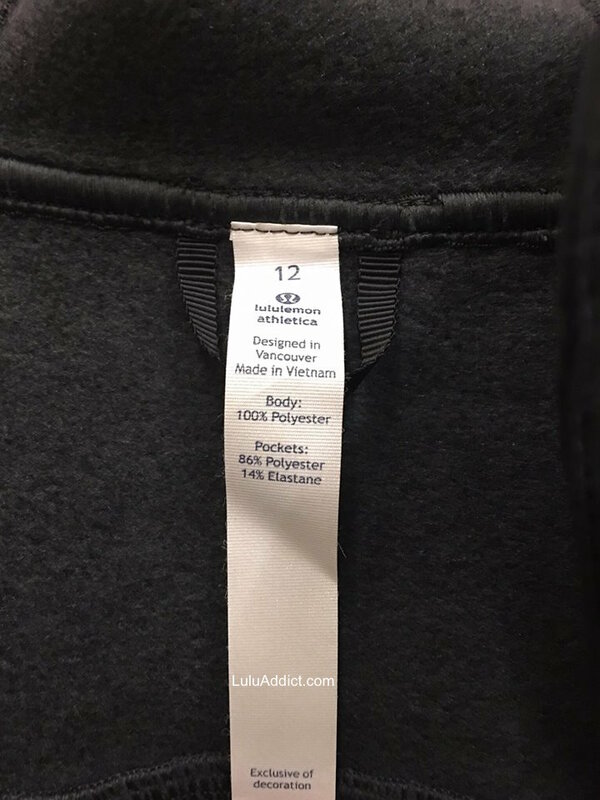 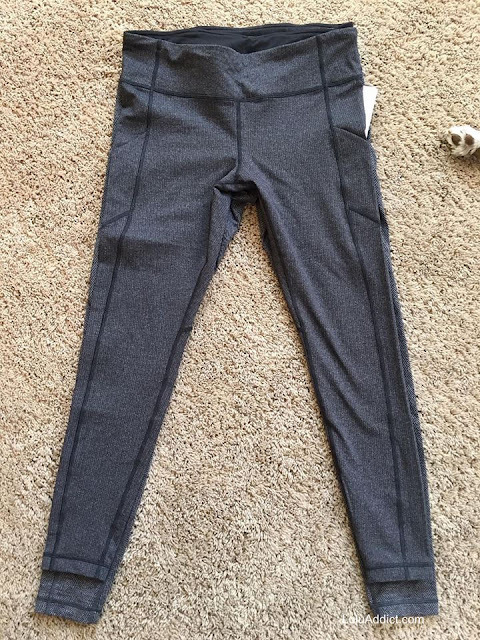 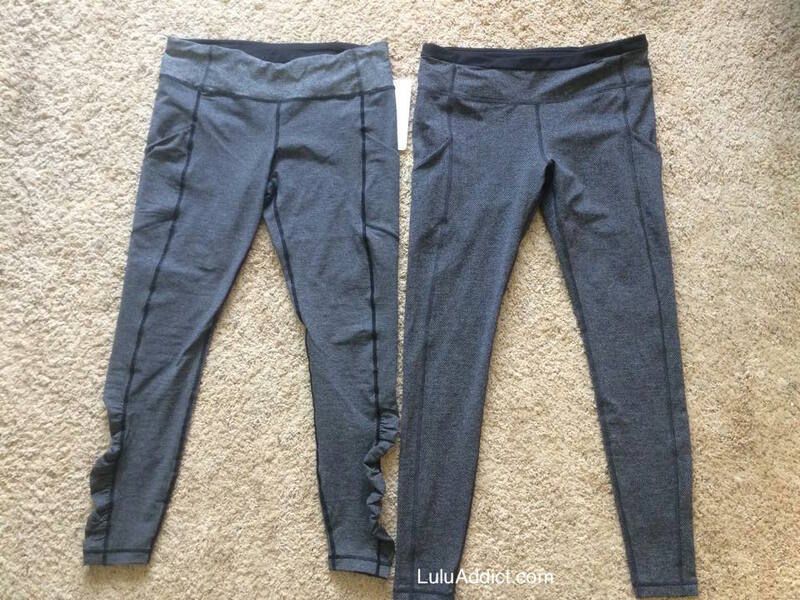 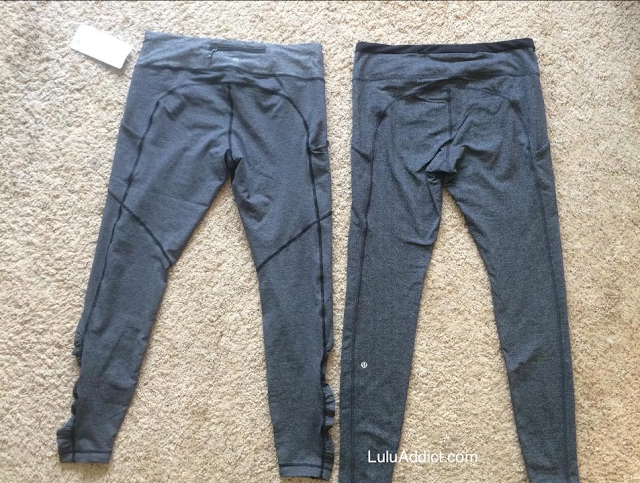 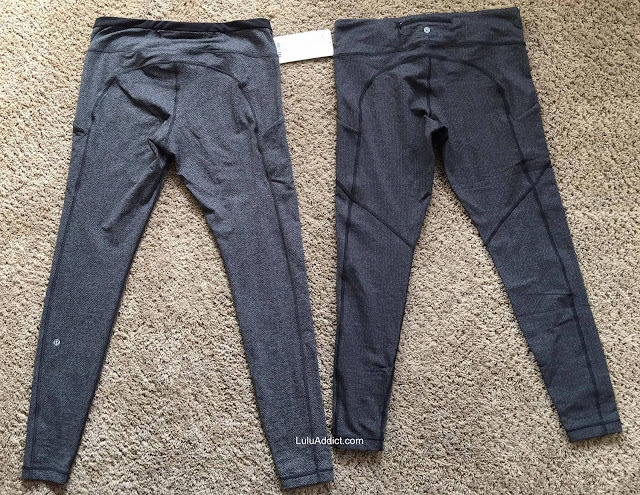 (I did a comparison of the Speed Tight IVs to the same Herringbone Speed Tight IIs last year (for reference, the photos at the end of this post)). 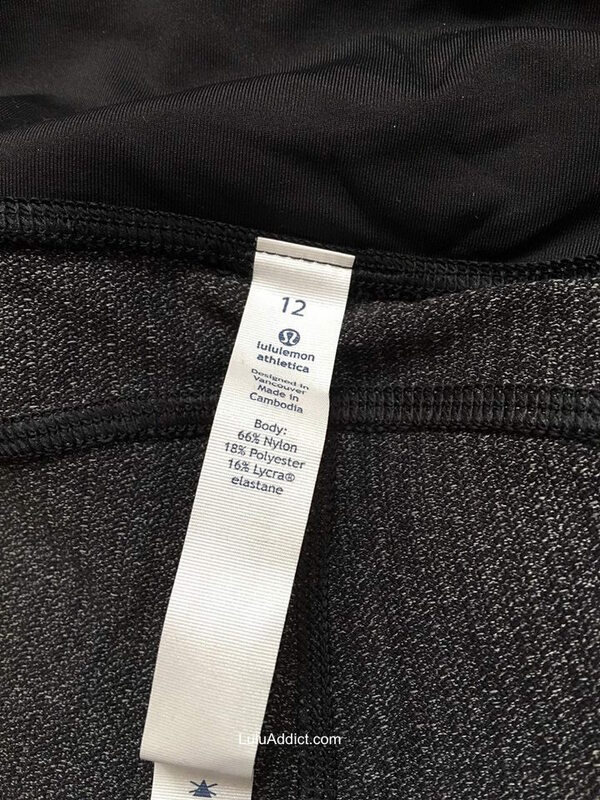 The differences between the Speed Tight IIs and the V are: the Vs are 1.5" shorter (28.5" vs. 30"), logo moved to the waistband, and seam across the back of the thigh. 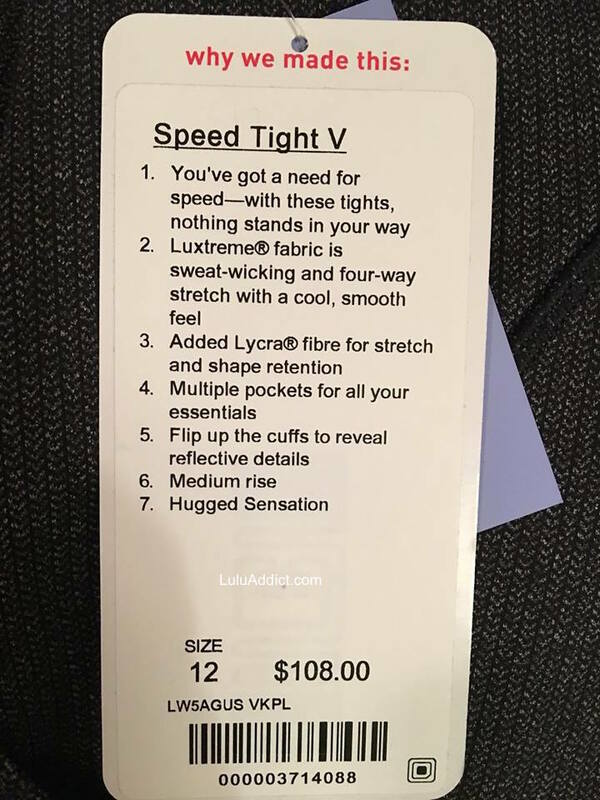 The only difference I can tell between the Speed Tight IV and V is the lack of ruching at the bottom. 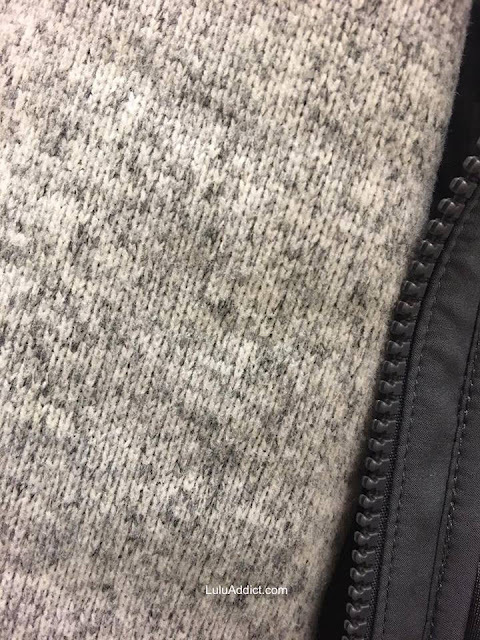 The Variegated Knit looks like a tiny herringbone. 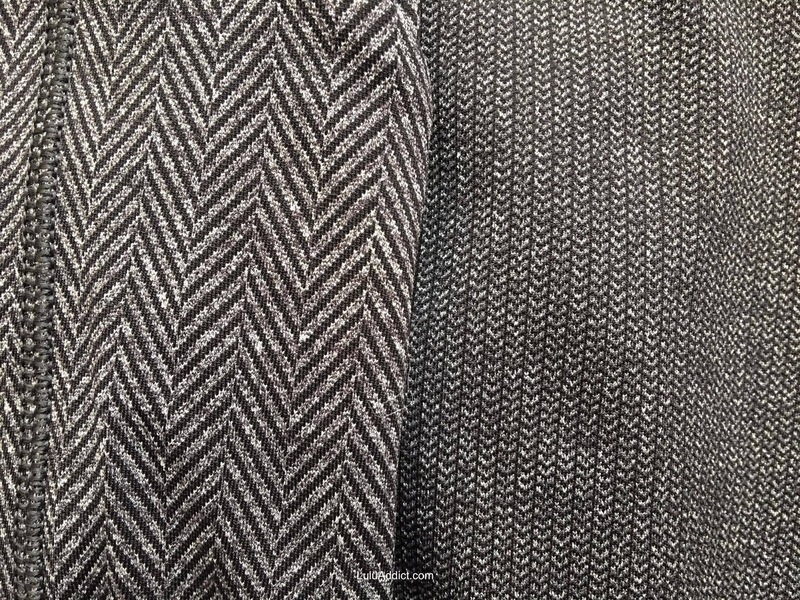 It's nicely thick, too - thicker than the herringbone. 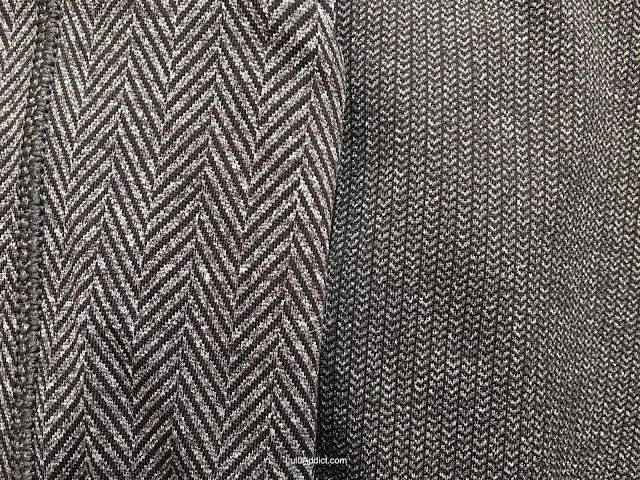 I weighed both pairs of pants and the Variegated Knit ones were a little heavier (.62 lb vs. .60 lb) than the Herringbone, despite being 1.5" shorter. Variegated Knit Speed Tight Vs on top of Herringbone Speed Tight IIs. If you are a fan of textured luxtremes and missed out on the herringbone Speed Tights the Variegated Knit are a nice alternative. A handful of new items were uploaded today, including the new Fleecing Cold items which are already in stores. I saw these yesterday and have some in-store photos for you below. The Rain is Calling jacket. 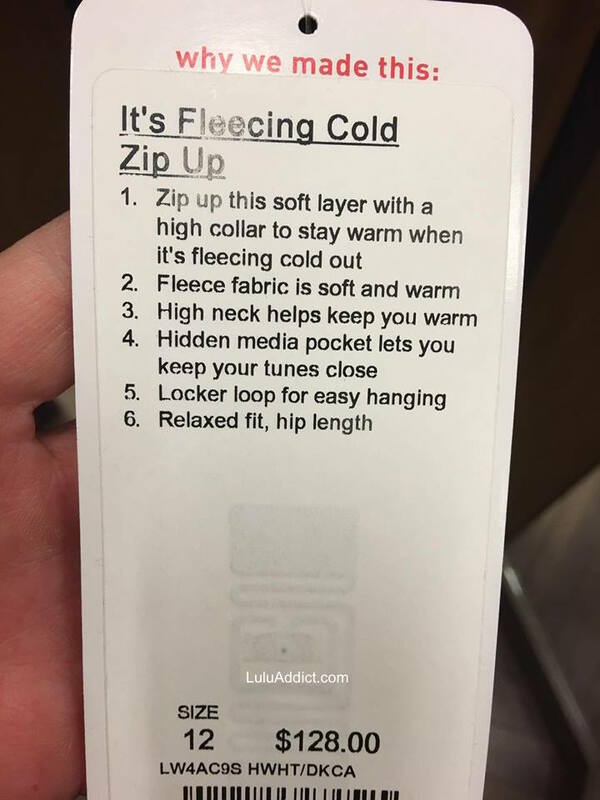 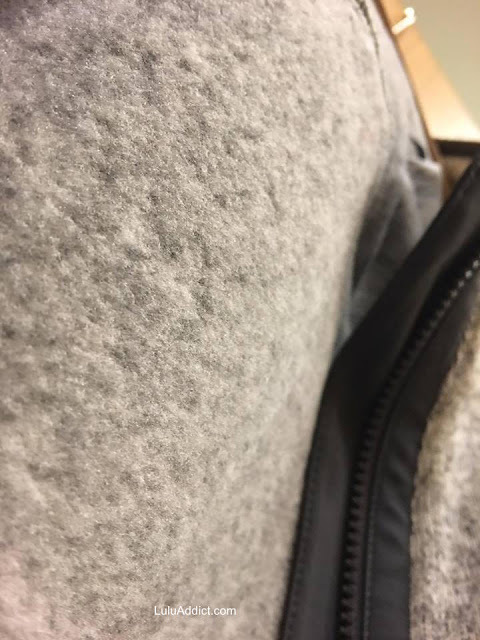 The inside of the jacket. The outside of the jacket. 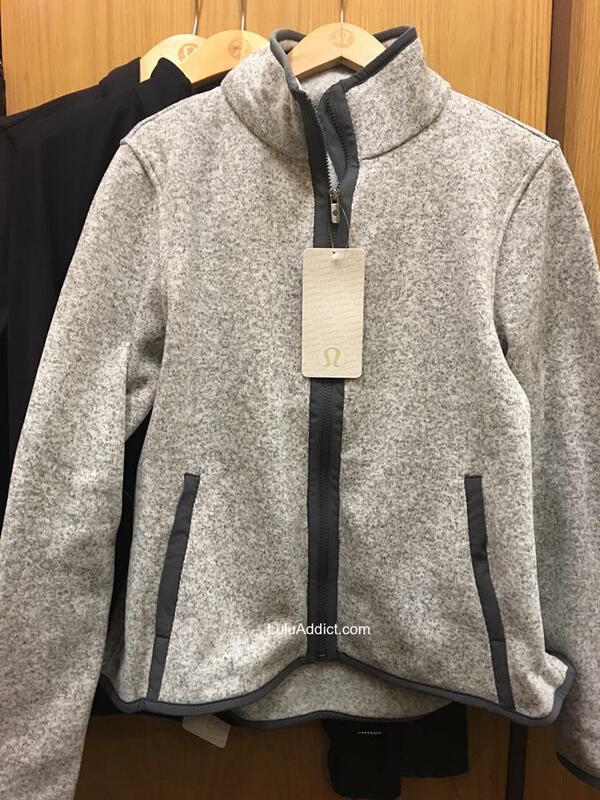 My store only had the Pullover and the Zip Up. 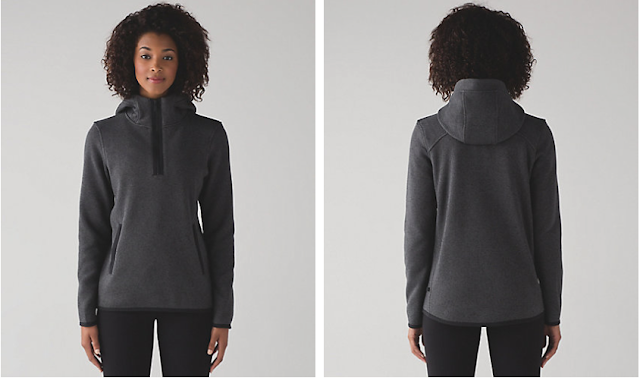 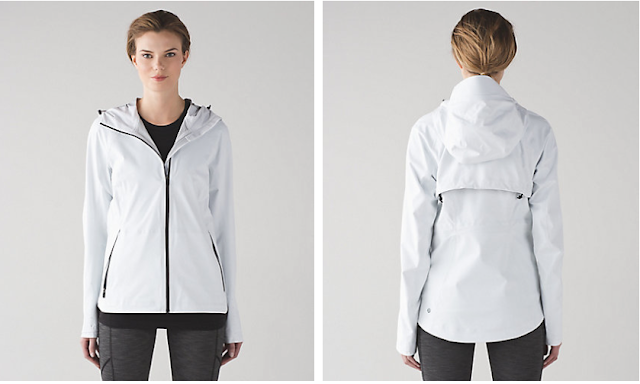 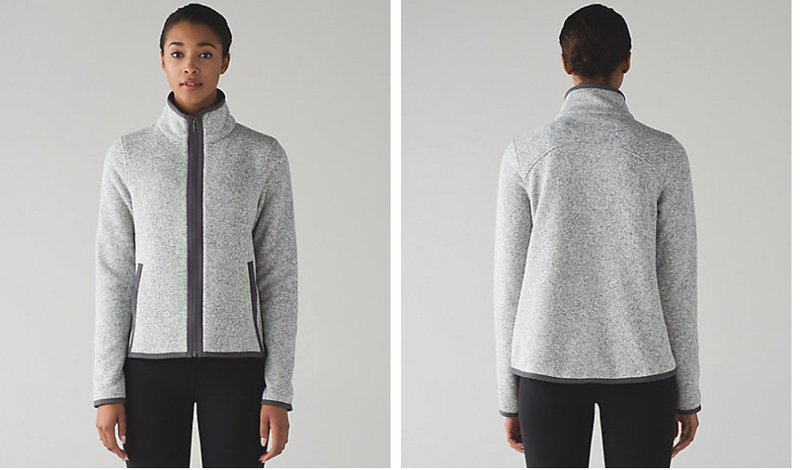 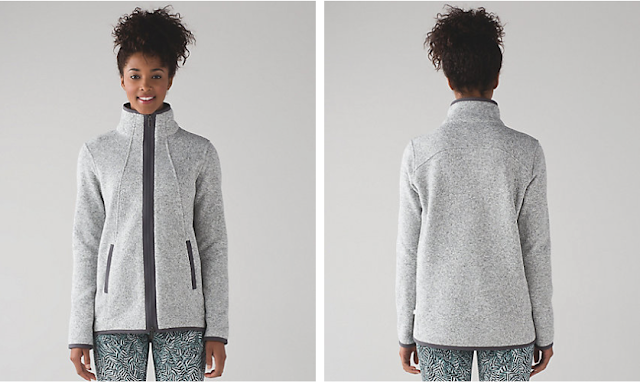 The Zip Up has a trapeze shape that ended at my widest part. 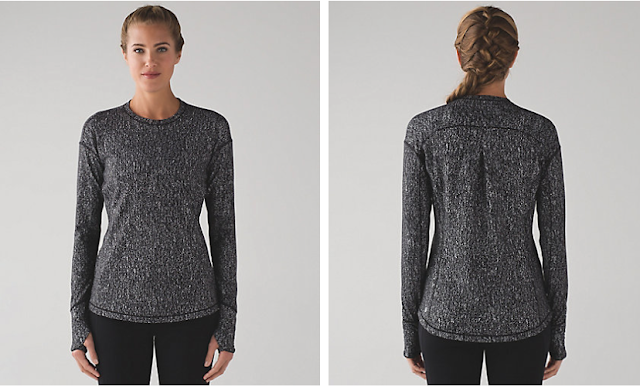 The Pullover was nice but the ribbon finish at the bottom hem didn't stretch over my booty so that was a no-go for me. 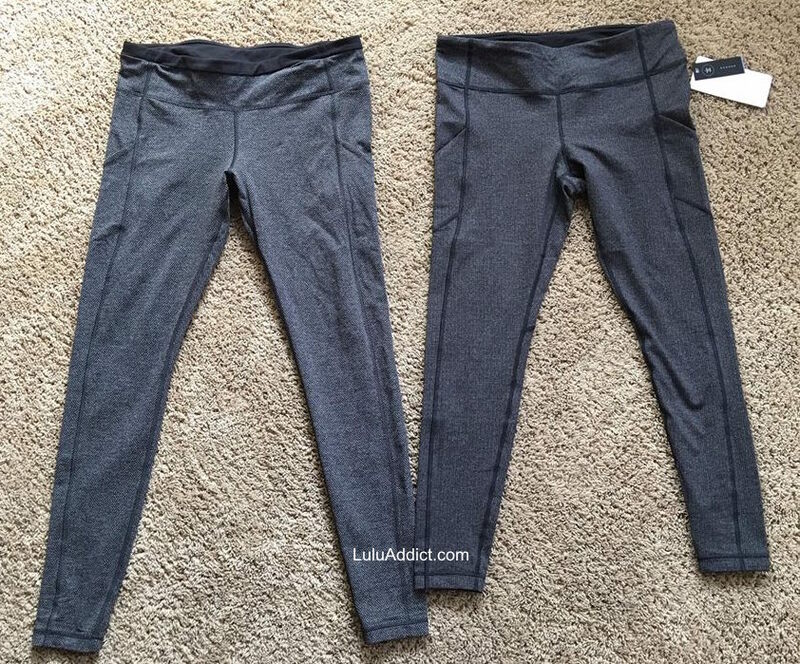 I thought both fit TTS and were nicely warm.